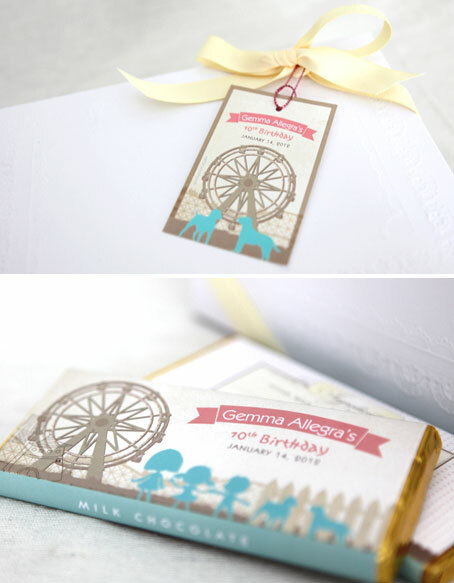 Young and seasoned, boy or girl, we do all kinds of party invitation for everyone! You can choose from a variety of templates or have one custom made especially for you lovlies! Thank you or gift tags and goodie bag are also available. 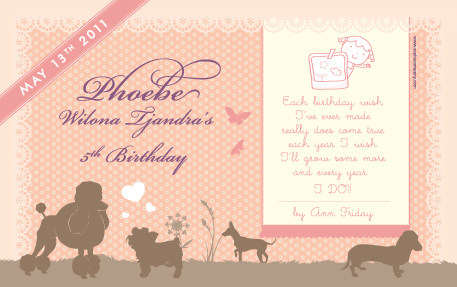 Here are some of our pretty girly kids birthday designs.